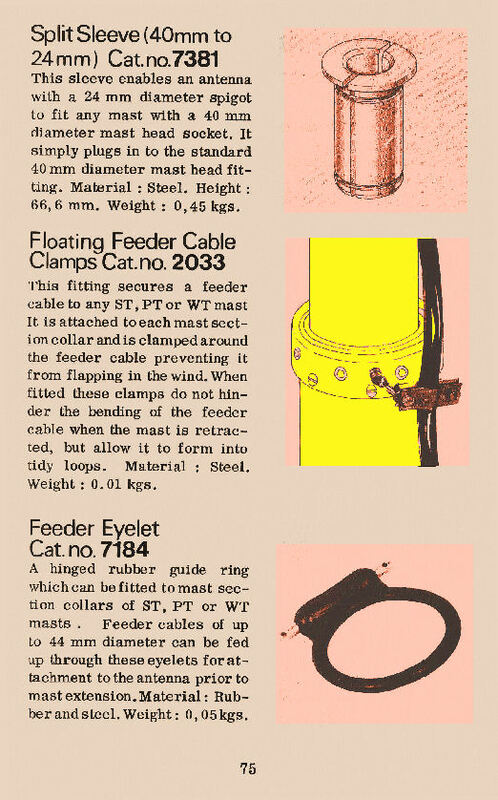 Illustrated on this web page, for historical purposes, are a range of Clark Masts Antenna Fitting pages from their late 1960's - early 1970's catalogue. 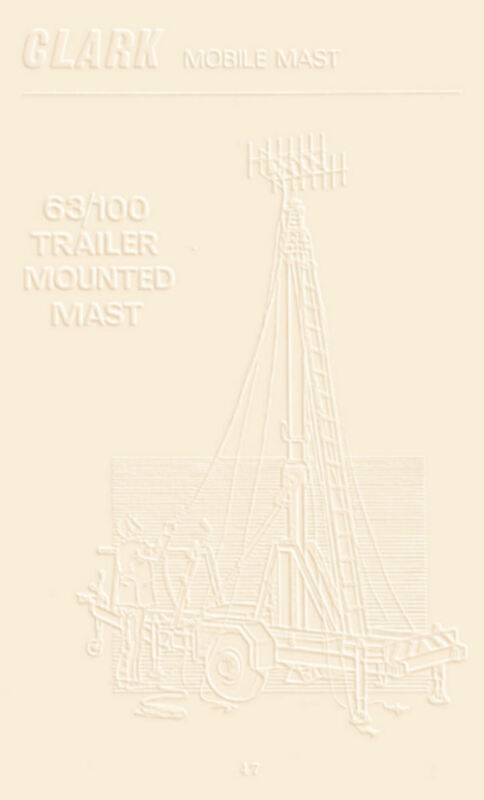 Today's range of Clark Masts mast headload accessories can be seen HERE. 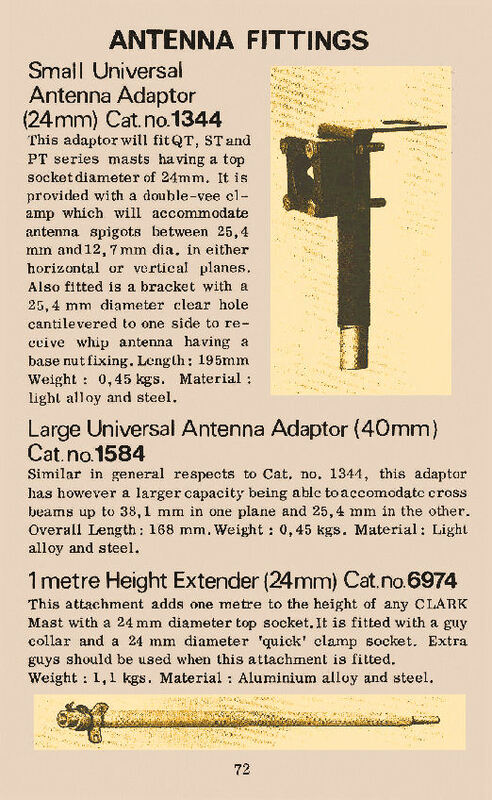 Clark Masts produced a range of Headload Mounting Adaptors for their late 1960's early 1970's pneumatic masts. Included were such items as a Universal Headload Adaptor which could accommodate horizontally or vertically mounted antennas or lamps. 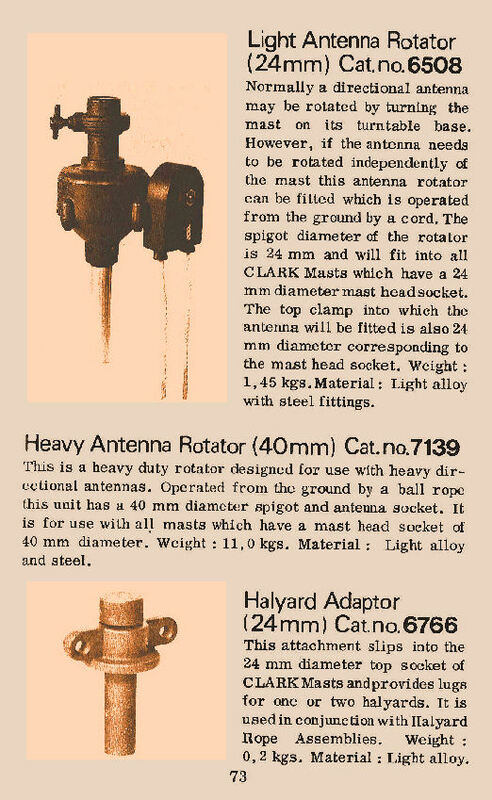 An Antenna Rotator was included in their antenna fittings range as well as a 1 metre Height Extender with a 24 mm Quick Clamp socket at the top. 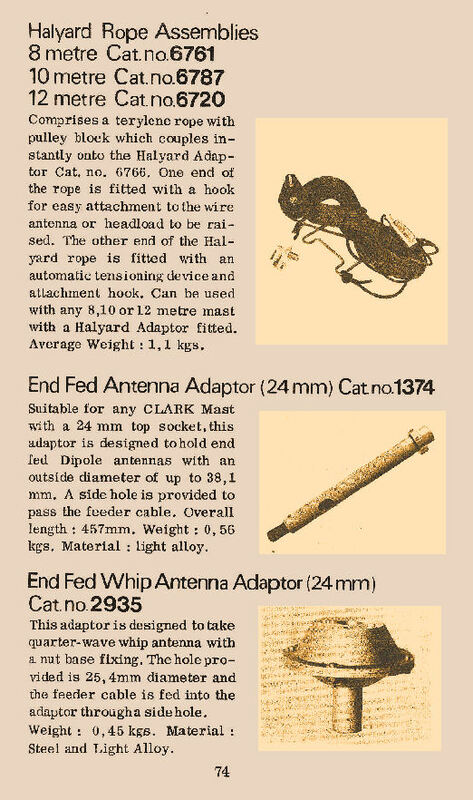 Other Antenna Adaptors for end fed vertical antennas were also available.